ESO Supernova Exhibition — What are gravitational waves? Gravitational waves are ripples in spacetime created by moving masses. But only the most intense waves, resulting from rapid changes in the speed of very massive objects, can currently be detected. In 2015 the first such wave was measured, and in 2017 ESO telescopes saw the first light from the source of a gravitational wave. 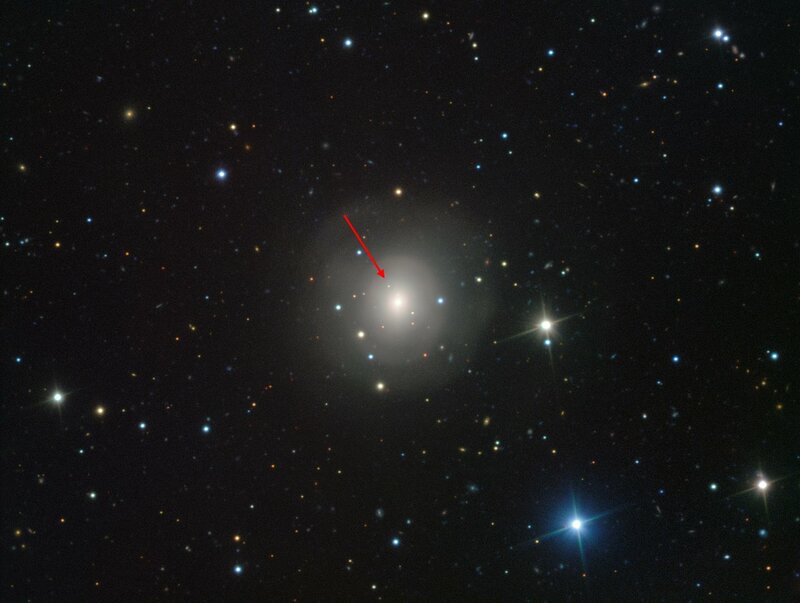 At last a kilonova: An image of the galaxy NGC 4993 showing the first visible-light counterpart of a gravitational wave event: two merging neutron stars creating a kilonova explosion. 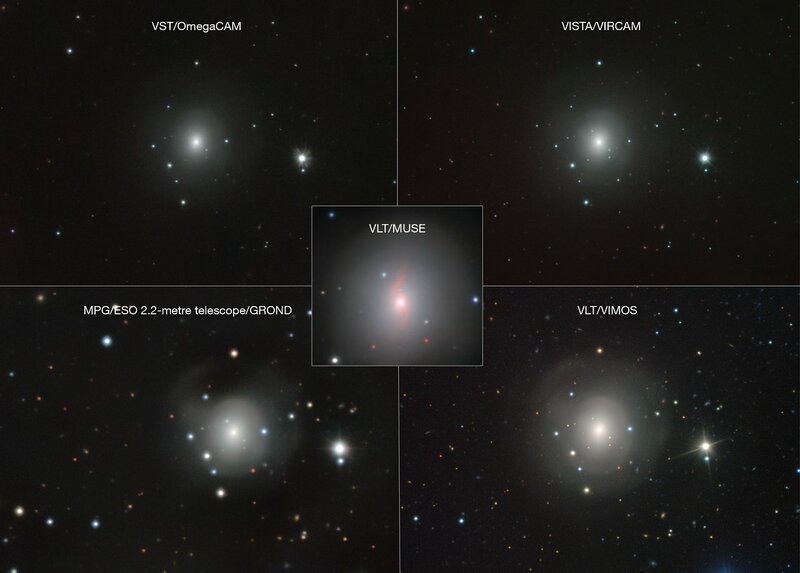 GW170817: These images from several different ESO telescopes show the galaxy NGC 4993 after a gravitational wave event on 17 August 2017. 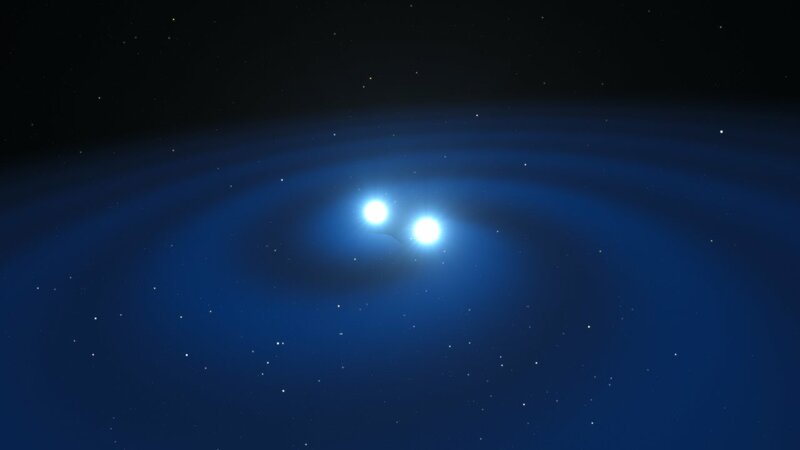 Source of a wave: Merging neutron stars were the source of gravitational waves detected in August 2017 (artist’s impression). If you put your finger into water and move it in a circle, it will create waves moving away from your finger. 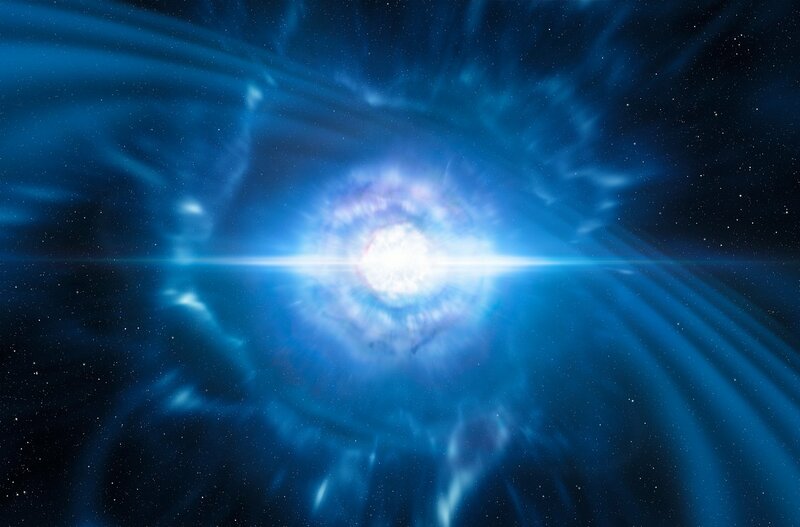 Some massive objects create waves in space in the same way.